Images can be uploaded to you company's Cinode license and assigned to your employees. 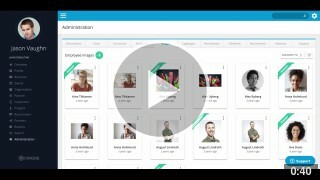 An employees can have several images assigned to them. A use case can be that you wish to have different images for different resumes. You can upload files in JPG or PNG format. An employee can also have a primary image. The primary image is the default image that will be selected when creating new resumes. It is also the image that will represent the employee in-app and will be displayed in the upper left corner of the employee's Cinode account. 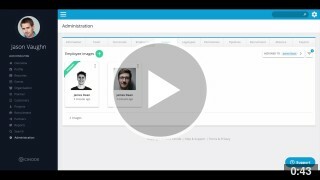 All users have the option to upload and change images for themselves, but in order to manage the images for other people in the organisation you will need to have Administrator permission levels.